We specialize in removing trees at 60 ft tall or less and 36 inch diameter at the base. Our tree services includes fast, reliable & safe tree removal with the use of proper equipment to ensure efficient and safe work performance. We'll remove branches that are out of reach for regular DIY projects using industry's best practices for safety for our workers, customers, and their property. We are efficient, but we are also methodical. When we hire new crew members with less experience, we much rather see that person work slower than fast & unsafe. Why spend all summer trying to take on tree projects yourself? We have industry's leading equipment to cut through trees like butter. We'll get the job done quickly at affordable rates, so you can relax on the weekend and sip on some lemonade or cocktails. 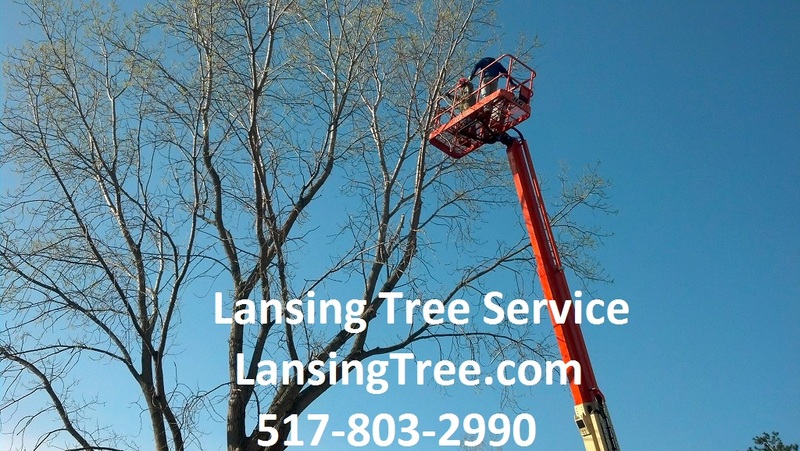 We trim and prune trees in Lansing so they maintain their structural integrity & beauty. Trees can become great anchors for your yard or garden and serve as important pieces of aesthetics. We are very skilled in knowing how to make the tree look beautiful. We also prune ornamental and fruit trees so they remain in a state of maximum delicious fruit yield. If you think of each branch as a point where nutrients from the ground flow to, pruning increases the amount those nutrients to more highly yielding areas making them more delicious & productive. We love to educate home owners on proper care and maintenance of fruit trees. Stumps can be a source of potential hazard if you have little children that play in the yard, and they can be unsightly as they decompose and become home to various insects, pests & fungi. Our stump grinders remove stumps very quickly so you regain more of that beautiful green grass and more space as well. The absence of these unsightly obstacles will make lawn maintenance easier and more pleasant. Call us today for quick stump removal in Lansing.